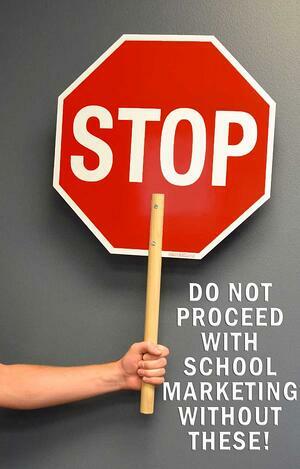 Are you thinking about diving into inbound marketing for your school? Before you even begin, do you have your parent personas? "Our parent what?" you ask? Ah, well then I'm glad we brought this up. You see, without clearly defined parent personas, all of the thought, work, and resources you're about to pour into your school marketing strategy and activities are likely to careen off the rails and plummet into the muddy river below. That freight train will never reach its destination to deliver your sought-after enrollment increases. Inbound marketing professionals recognize the need to research and develop what we call buyer personas - a portrait and profile that embodies the type of person who is most likely to buy your product. In the case of school marketing, we like to call them parent personas since usually parents are the ones who are making the enrollment decisions. It may seem tempting to skip this step, which on the surface doesn't seem like it actually produces anything useful. But neglecting your parent personas is like starting off on a journey to an unknown destination without a map (or GPS) - or without even an address to work toward! As with any worthwhile endeavor, you need an end goal. 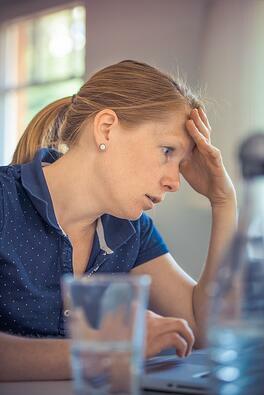 If your goal is just to get more enrollment numbers, that is insufficient to truly motivate your marketing. It's not about the numbers; it's about the people. You need to reach, speak to, and persuade people to join your school community. And not just any people. You need the right people. The ones who will be a good fit for your school, and who will remain in your ranks for years as their kids grow. If you're just shooting blindly, being trigger-happy and trying to hit anyone within a 50-mile radius who will listen, you will waste energy, time, and resources...and it's likely that the messages you're sending aren't going to be well-received by anyone because they're not actually speaking to anyone in particular. You need to know who you want to come to your school - or, maybe more accurately, who is most likely to come to your school - so that you can tailor your messages to their needs and speak directly to them. Once you know who you want, and you take the time to really find out what THEY want, then you can set out creating content that reaches them where they are - which is precisely the benefit of inbound marketing. You cannot draw parents to you if you don't first meet them where they are and extend your proverbial hand out to them as a partner. One major factor that makes for a successful inbound marketing campaign is the ability to offer a solution to your target audience's "pain points" - that is, the things that keep them up at night. The things that concerned moms are googling. The things that your school's teachers, administrators, and fellow parents can address in a way that shows other parents they are not alone. That is how you meet parents where they are - parents who are looking for the precise kind of partnership and solutions that your school can offer. But first, you need to know where and how to find those parents. Which means you need to have a firm grasp on who they are, what makes them tick, how they get their information, what their biggest concerns are, what factors determine their schooling choices, what everyday life is like in their home, and more. Once you know these things, you can formulate your school content and messages around them. So then, when that young mom is up at midnight googling how to manage her kids' media consumption and your school's recent ebook shows up on her search results or checking her email where she sees a subject line from your school that answers another burning concern in her mind, you are one click away from forging a stronger relationship with a potential school family. Maybe you get the importance of knowing your target market, but you're not sold on going all-out with a parent persona the way marketing pros encourage. We suggest sniffing out who your two or three types of families are, and then giving each of them a complete profile - including names, hobbies, careers, home life, income - and a photo to go along with it. If this all seems like overkill, don't be too quick to override it. Remember, a schooling decision is often a highly emotional one for a family. And what better way to connect emotionally with that family than by truly getting to know them? 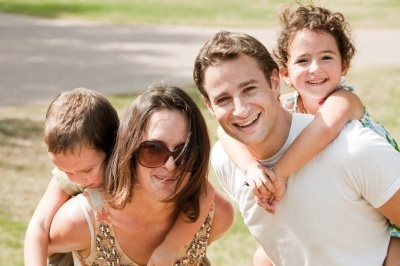 Creating a complete parent persona for each of your target audiences will help you to humanize this abstract group of people floating out in the cyber-sphere that you're attempting to reach. It will help you think on a personal level about their concerns, questions, wants, and needs - and will hence assist you in relating to them on a personal level in both your online content and in your face-to-face interactions. So, before you start beefing up your blog and winding up your website, make sure you're doing ample research ahead of time to establish who your parent personas are. Ask your current families those deep-digging questions that help you understand who it is that comes to your school, why they choose your school, and what makes them stay. It will serve to help you find more people just like them who can enrich your school community even further for generations to come.